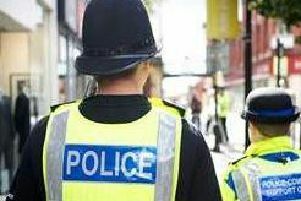 Superintendent Ian Dawson, from Lancashire Constabulary, told a meeting of the area’s Police and Crime Panel (PCP) that the force was heading towards a headline increase of 40 per cent - or 60,000 extra crimes - over the course of the current financial year. But members heard that there had been just a two per cent increase in the number of calls to police in the county - and Supt. Dawson insisted that the statistics, when they come, will not tell the full story. In adhering to the new standard demanded by the Crime Data Integrity Inspections, Supt. Dawson said some cases previously recorded as “incidents” are now classified as “crimes”. Papers presented to the meeting showed a drop of more than 11,000 instances of anti-social behaviour in the 12 months to June 2018 - but public order offences have leapt by more than 5,000. “Is there less anti-social behaviour? Probably not,” Supt. Dawson said, describing a “direct correlation” between the shifting statistics across the two categories. He added that “a solution” to the problem would still have been pursued by officers, even if an incident had not been identified as a crime. Meanwhile, multiple offences are now often recorded to account for events which would previously have been treated as a single case. Panel members heard that any crime in which an offender displays a “continued course of behaviour” now has to be recorded as “harassment” - in addition to any other measure by which it is judged, such as domestic abuse. Recorded cases of stalking and harassment rocketed by 237 percent during the first quarter of the year, compared to the same period in 2017. Panel member Caroline Moon said she found the more stringent reporting rules “fantastic”.